Get a taste of the infamous Salem around All Hallow’s Eve. Fares from Chicago to Boston have fallen $70 during the fall. 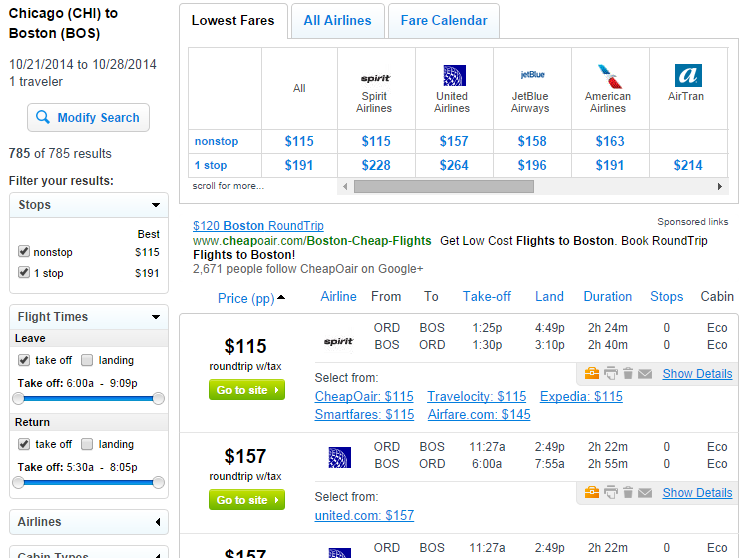 Travelers can book a flight to Bean Town for $115-$135 roundtrip, including tax. Even when taking into consideration Spirit’s additional fees ($35-$50 per carry-on bag) this fare still saves travelers up to $70 compared with current prices. Fall is the optimal time to visit New England. If you’re a lover of fall foliage, then Boston is the perfect starting point.